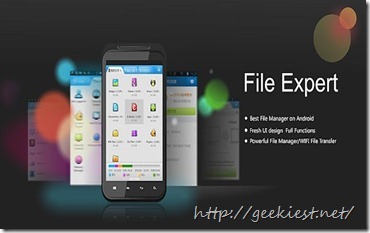 Geek soft File expert is a Free Android app that allows you to manage your file on your mobile phone. 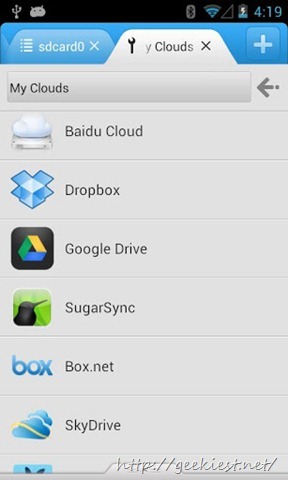 It offers easy file sharing with friends, also you can use Wi-Fi network to share files. * Manage all of your files like photos, music, videos, documents, apps etc. 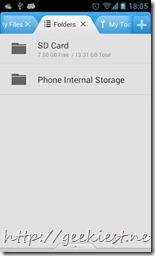 * Manage your Phone SD card, external SD card and internal storage space of your phone. * Secure and quick way of file sharing. * Feature rich tools like theme manager, one touch clean and more adds user friendliness to this app. * Supports all kind of file operations like Copy, Cut, Paste, Delete, Create, Sort, Rename, Send, Details, Favorites, Hide, Create Shortcut.Batch operation and more. * Search for files on your SD card and perform actions on search results. 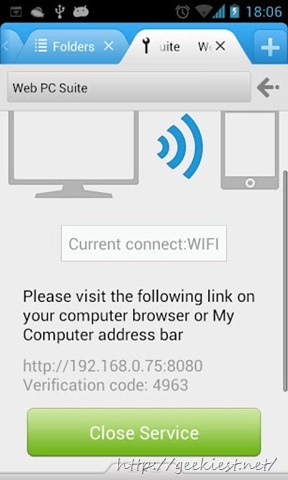 * You can use Wi-Fi enabled phone to transfer files and apps. 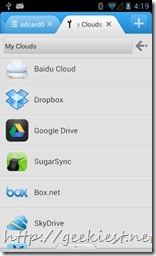 * Allows you to access various cloud services like Google drive,Dropbox,box.net etc. 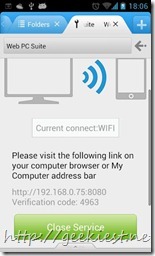 * Bluetooth capabilities include OBEX FTP, OPP. * Manage your apps, install/uninstall/backup app. * Archive manager help you to view/Compress/Decompress ZIP/RAR archives. * View thumbnails and Images from both local and remote folders. 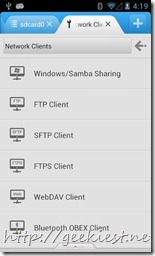 * You can play your media files that store on SMB share(your player should support HTTP streaming. * Open any files by file expert and More. 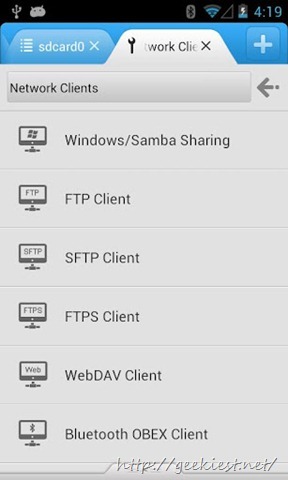 You can read more and download File Expert for your Android phone from Google Play Store.